Tags: Bridal, Deep Red, Lehenga, Light Fawn, Long Length, Reception & First Day. Shirt features stunning embellishment all over the front. Applique work border implemented at the bottom of the lehenga. Work includes kora, dabka, pearls,stones, sequins, beads, silk threads and swarovski crystals. 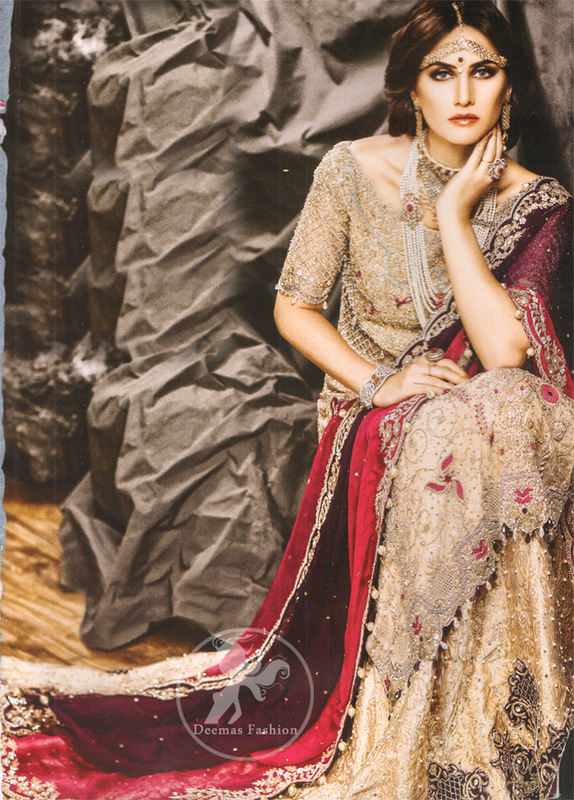 Light fawn pure chiffon fully embroidered long shirt and jamawar lehenga with embroidered dupatta. 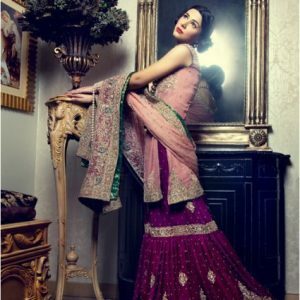 Matching banarsi jamawar lehenga with embroidered border at the bottom. Deep red dupatta contains embroidered border on four side.